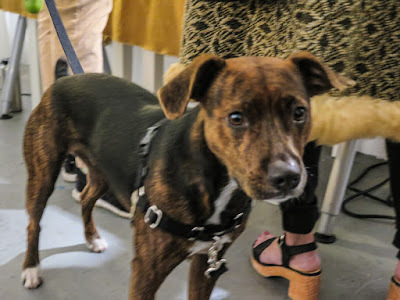 The rove art walk was a complete success. 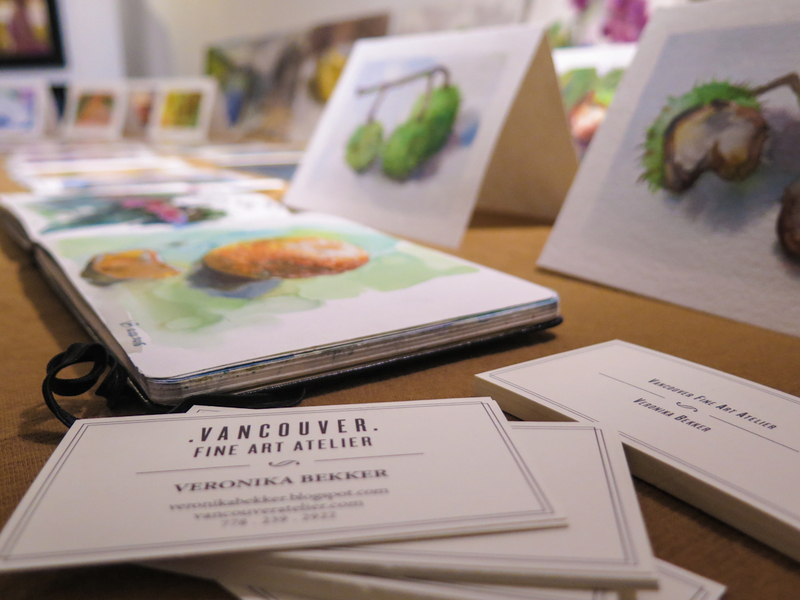 Thank you everyone who came by the Vancouver Fine Art Atelier on Friday evening. 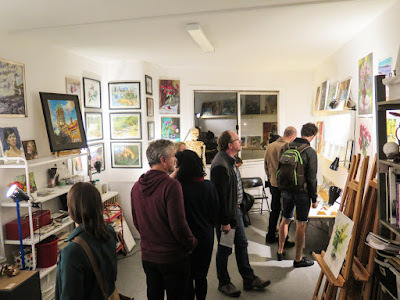 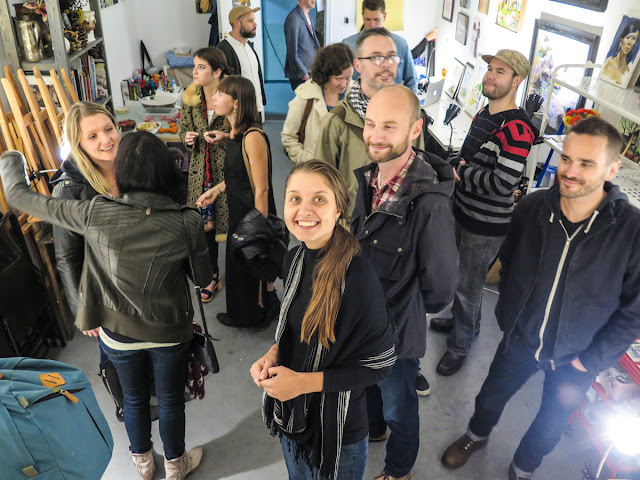 We had around 200+ walkers through the studio checking out the space and the art. 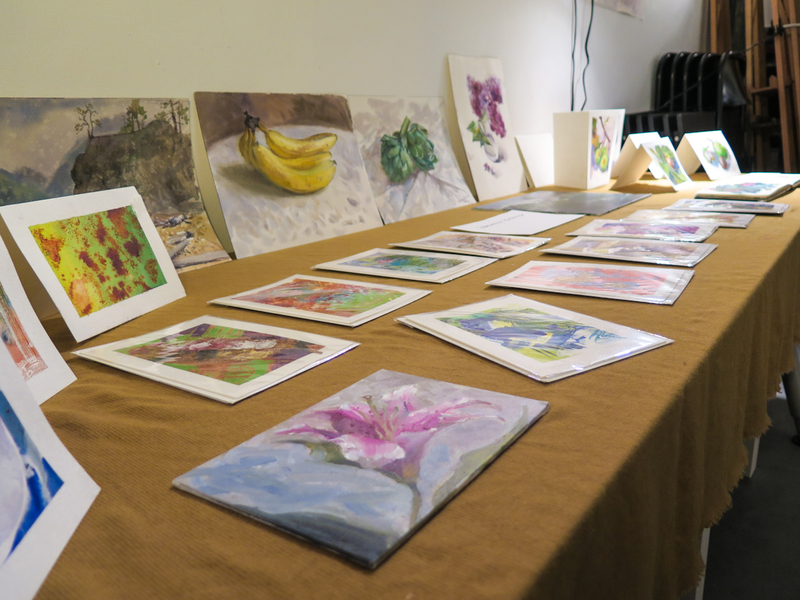 We featured artwork from multiple VFAA instructors. 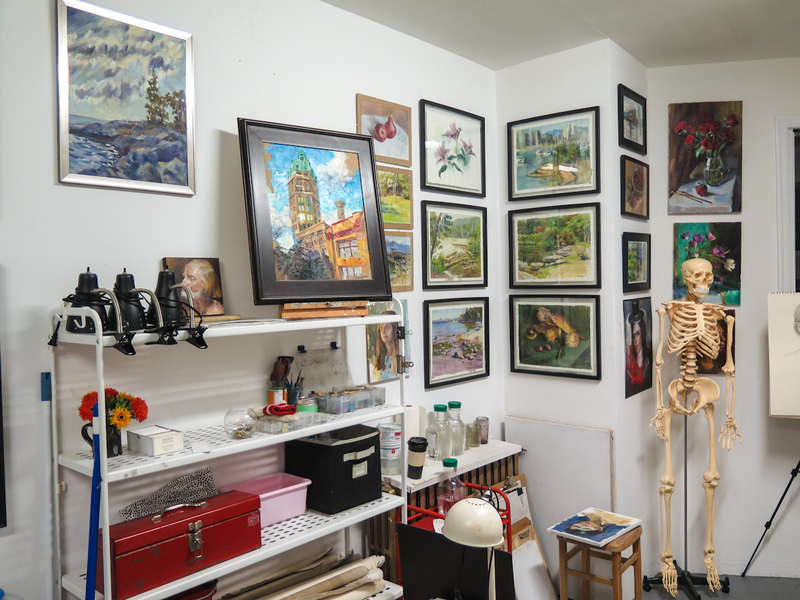 With VFAA art classes in full swing this fall we had more than enough art to cover all the walls of the studio. Plein Air oil and water color paintings caught the attention of viewers with bright color palettes, lots of recognizable locations, and paintings full of heart. 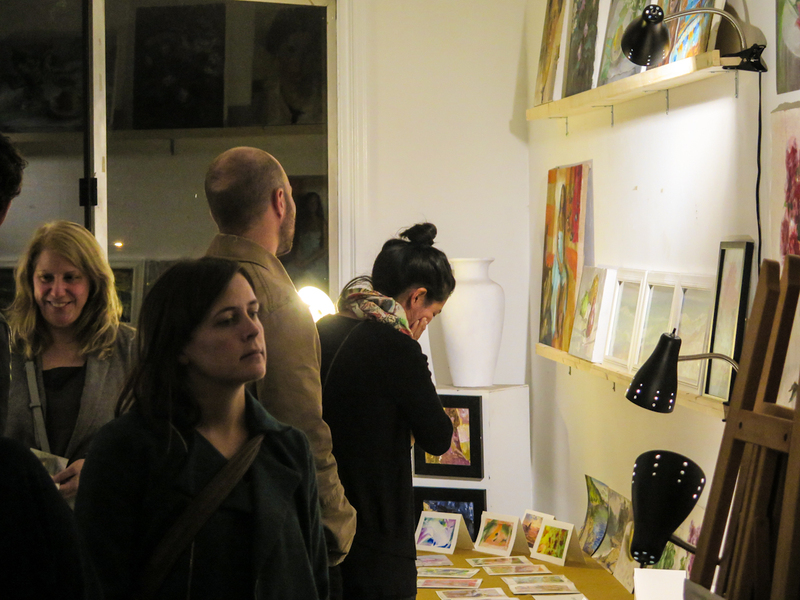 We pulled out light from darkness with special day lamps shining directly on the artwork. Cozy and comfortable sights for the advantage of detailed looks. 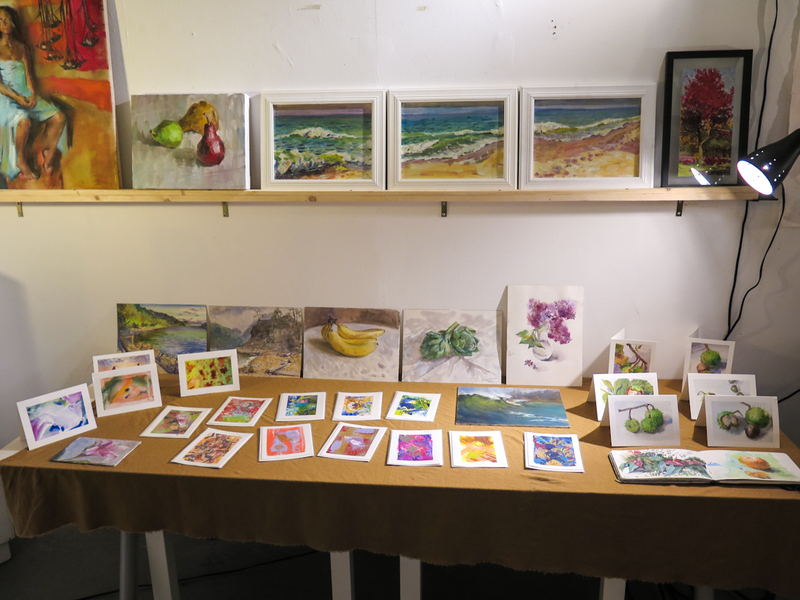 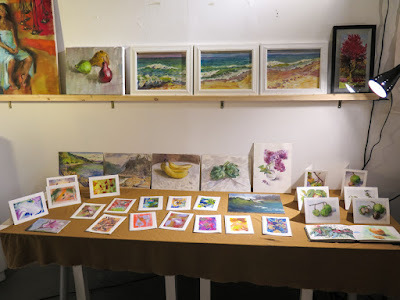 Veronika Bekker's watercolor and acrylic cards were very popular during the walk. 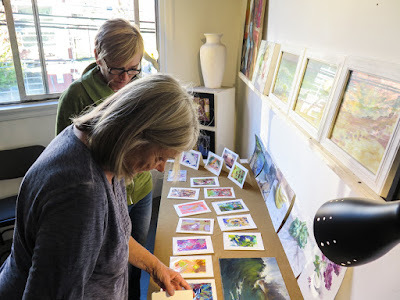 She is currently focusing on selling original cards, we will see if she finishes enough for the busy Christmas season coming up. To Veronika everyone deserves to have original "breathing" artwork in their home and hands. 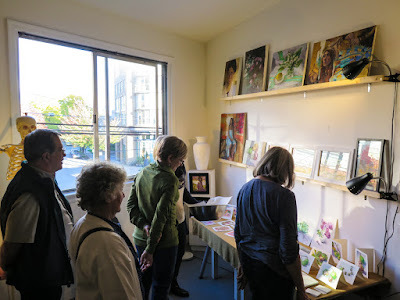 Many viewers commented on special warmth of our paintings, sometimes these themes go unnoticed with Vancouver audiences. 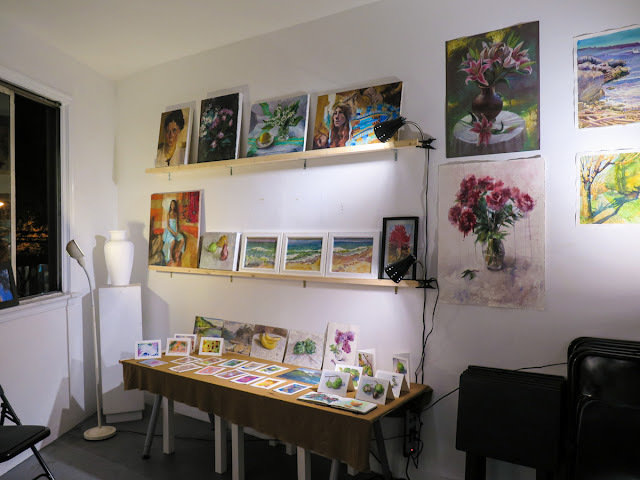 We maintain realistic and academic approach to drawing and painting, preserving traditions of European Classical Art. Alain Boullard presented few of his current Flamenco paintings, portraits and newest landscapes. 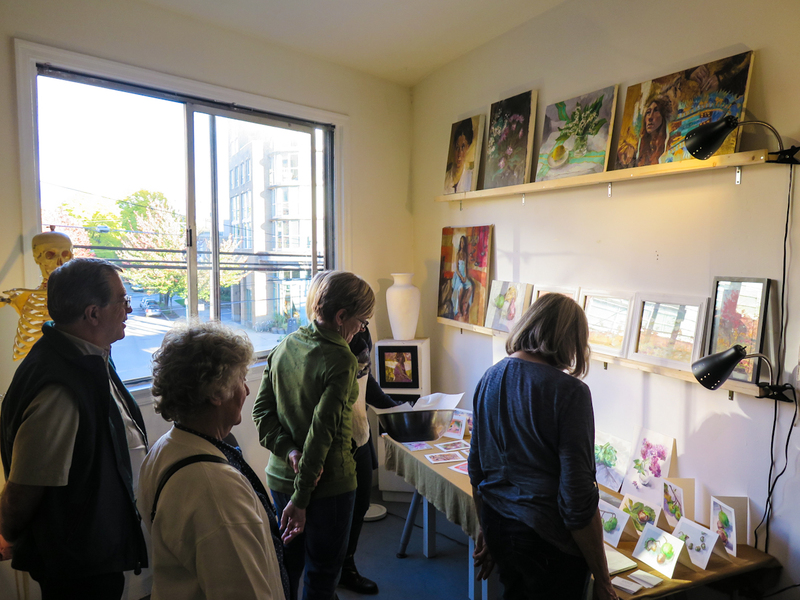 His portrait of Lorence (famous art model) got many people interested in taking classes with Alain on Sundays.